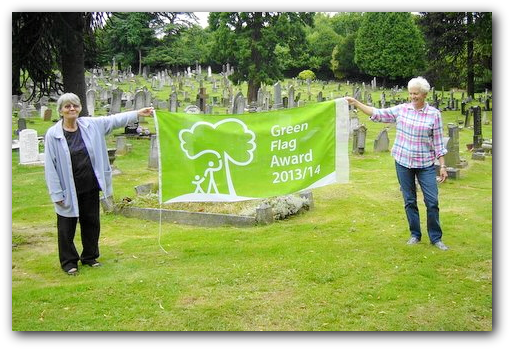 Judging was done on the 24th of June 2013 the good news was that the cemetery was awarded a Green Flag for 2013/2014. 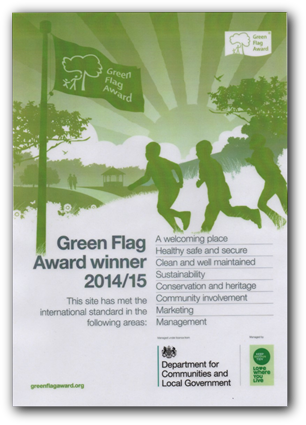 "The Green Flag Award® Scheme recognises and rewards the best green spaces in the country". 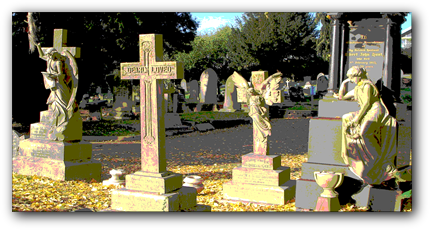 In 2013 Leicester City Council entered Belgrave Cemetery into the above scheme which recognises well managed parks and spaces. 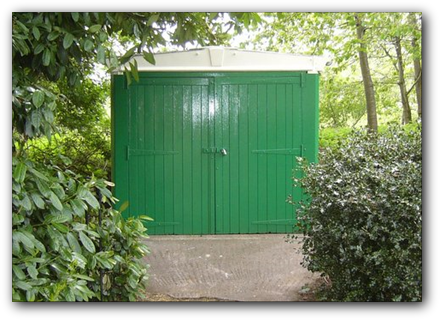 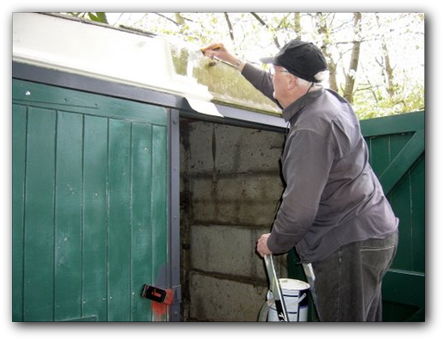 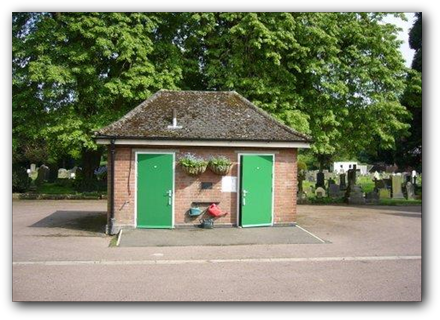 The group was asked if they could contribute by improving the appearance of a shed used by the cemetery keeper, the cemetery toilet block and plant some shrubs in the borders. 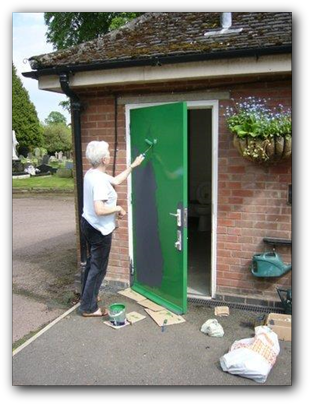 Group members John and Jan volunteered to do the painting and planting work.